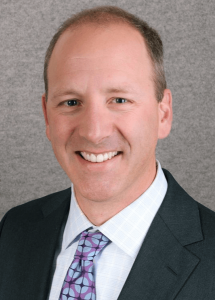 Chris Rafoth, D.D.S., of Stanwood, WA has been named as an Implant Director for the American Academy of Facial Esthetics Place Implant Now courses. The AAFE is a teaching organization for dental and medical professionals that has successfully integrated internet learning with hands on training for Botox and Dermal Fillers. Now, AAFE is launching a new program for general dentists to learn to place implants immediately. This innovative 20 hour university level post graduate training is taught online and in a live clinical hands-on program. The hands-on training by AAFE Implant faculty will take place at over 20 locations around the country, including Dr Rafoth’s practice in Stanwood. Dr. Rafoth has completed Level 2 training for Botox used in Oral and Facial Pain as well as in Botox and Dermal Fillers for Esthetics through the AAFE. He trained in Denver and Seattle, and has been providing facial esthetic services since 2012. He is excited to partner with this organization and to bring his 16 years of implant experience and knowledge to Stanwood, Camano Island, and the greater Seattle area.